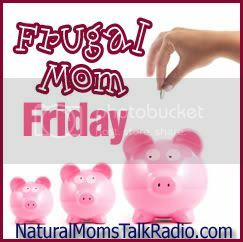 Frugal Friday: Free Money. Yes, I Mean It! I opened a Bank of America checking account a year ago and signed up for their “Keep the Change” program. Basically it works like this: Each time you use your debit card, they “round up” the amount you spent to the next dollar. Then, they automatically deposit that amount of change into your savings account. That means if you pump $19.01 in your gas tank, they debit your account $20 and put the .99 in your savings account. 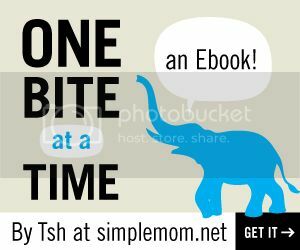 I saved a lot of extra money last year quite mindless and painlessly, and what’s more, it made balancing my checkbook easier since I always entered whole dollar amounts into my checkbook. LOL! Then BoA MATCHED my “change” amount penny for penny! They are putting that extra money into my savings account on the 22nd of this month. How cool is that? Free money. Once the first three months is over, they keep matching the change savings, at a lower rate. But still! Oh, I forgot to mention that they gave me $25 for no reason at all other than opening the checking account. And there are no checking fees as long as you have direct deposit (and since I work from home, they DO count stuff like my Google AdSense earnings. Yea! ).Anyway, they have a special deal now where you get $25 for opening an account… I can send you a link and you can open your account online. Let me know if you want me to send you an email invite because I will also get $25. So, to recap. You open a Bank of America checking account. You get $25. Then you get however much you managed to save by using your debit card. Plus your friend Carrie Lauth here gets $25. See what I mean? Free money. p.s. I am really enjoying Bank of America. The tellers have all been super friendly so far, they give me deposit slips IN THE DriveThru. Every Time. Because I always forget. And don’t want to drag 4 kids into the bank. I even opened up two savings accounts there. So email me at carrie at carrielauth dot com and get your email invite, ok? This entry was posted in Misc and tagged Free Stuff, Misc, Money. Bookmark the permalink. 2 Responses to Frugal Friday: Free Money. Yes, I Mean It! Almost forgot to mention. They have free online banking. You so want this account, don’t you? Pingback: money market savings accounts » Frugal Friday: Free Money. Yes, I Mean It! Breastfeeding and yeast infection – this is a huge and underdiagnosed cause of breastfeeding pain. Here’s what to do about it. I’m for Breastfeeding not Nitpicking – can’t we bf advocates all just get along?